Ultra Slim, Ultra High Definition. 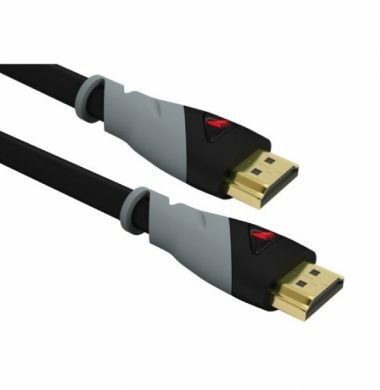 The WyreStorm Express EXP-SP-0102-4K 1×2 4K Splitter enables lossless duplication and distribution of a single HDMI UltraHD or HD source to up to 2 connected outputs for simple, flexible and reliable content replication to multiple display devices supporting resolutions up to 4Kx2K. Ultra Slim, Ultra High Definition. 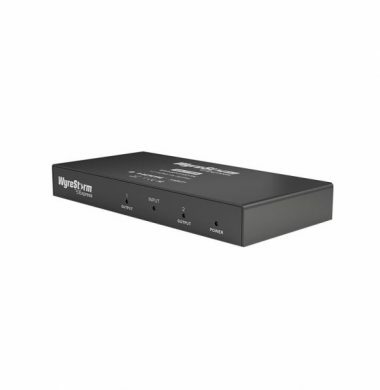 The WyreStorm Express EXP-SP-0104-4K 1×4 4K Splitter enables lossless duplication and distribution of a single HDMI UltraHD or HD source to up to 4 connected outputs for simple, flexible and reliable content replication to multiple display devices supporting resolutions up to 4Kx2K. 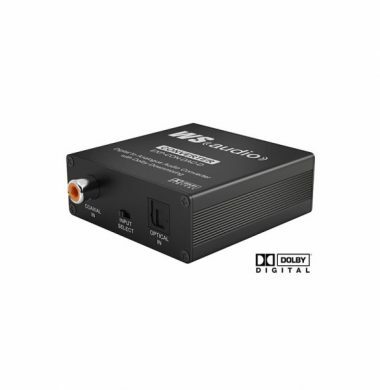 The WyreStorm Express EXP-CON-DAC-D is a Dolby Digital to analogue audio converter capable of taking up to 5.1ch audio encoded in Dolby Digital Surround from compatible multichannel S/PDIF coaxial or TOSLINK optical digital audio sources and downmixing to standard L/R analogue stereo audio. The EXP-EX-HDBT-50 is specifically designed for smaller projects that do not require the feature set of full Class A HDBaseT yet still benefit from the signal stability and functions offered by this powerful technology. 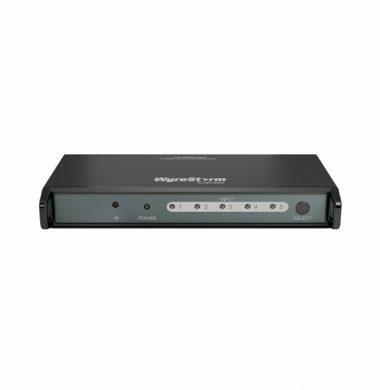 With the transmitter and receiver included in the set you can distribute full, uncompressed HD and UHD video, HD multichannel audio with bidirectional IR control over distances of up to 25m/82ft for 4K or 50m/164ft for 1080p using a single shielded or unshielded Cat5e/6 cable. 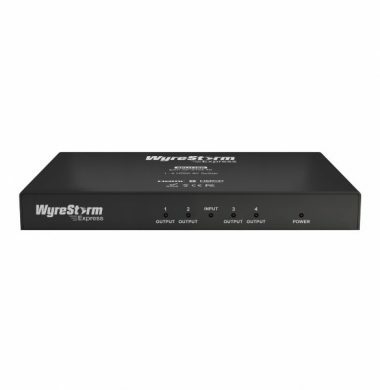 The WyreStorm Express SW0501-010 is an HDMI Switcher that enables 5 HDMI audio or video sources to be simultaneously distributed to a single HDMI display output with control via front panel or IR/remote handset and offers full HD support for audio and all video formats up to 1080p / 24Hz, including full 3D compatibility. 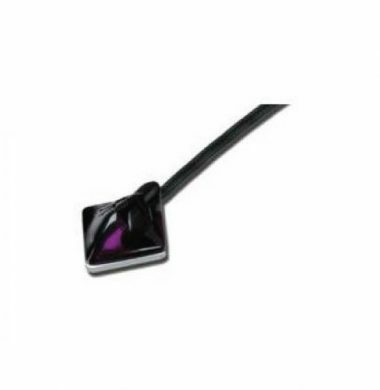 The Xantech IR Blink 283D – single emitters contain a tiny infrared light emitting diode housed in a miniature, almost black, injection molded plastic shell. These versatile units can be used in a number of innovative ways. NB: This is a ‘Blink’ emitter, which means that it flashes red visible light to confirm the IR has been transmitted. 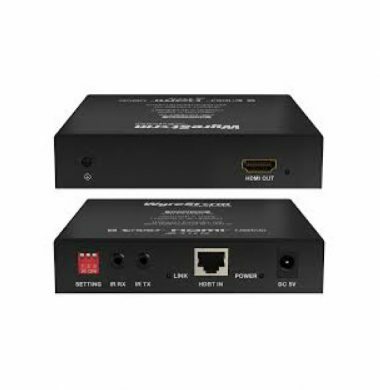 The Xantech Dinky Link DL85 IR receiver has been designed for mounting in very small spaces. 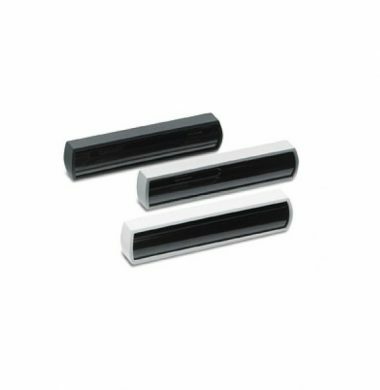 They may be mounted under shelf edges, cabinet ledges, in wall speakers, etc. – anywhere an inconspicuous appearance is desired. The high sensitivity of these receivers allows placement behind speakers grilles and still receive IR commands up to 80 feet away. If longer range is necessary, a 3/8-inch hole must be drilled in the grille to allow unobstructed entry of the IR signal. 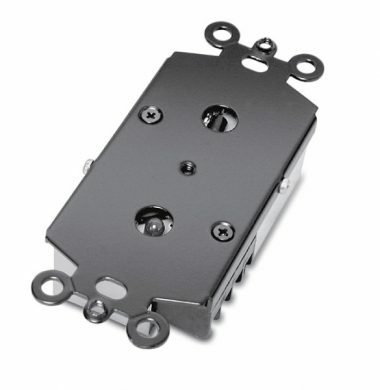 The Xantech Dinky Link kit DL85 IR receiver has been designed for mounting in very small spaces. They may be mounted under shelf edges, cabinet ledges, in wall speakers, etc. – anywhere an inconspicuous appearance is desired. The high sensitivity of these receivers allows placement behind speakers grilles and still receive IR commands up to 20 feet away. If longer range is necessary, a 3/8-inch hole must be drilled in the grille to allow unobstructed entry of the IR signal. 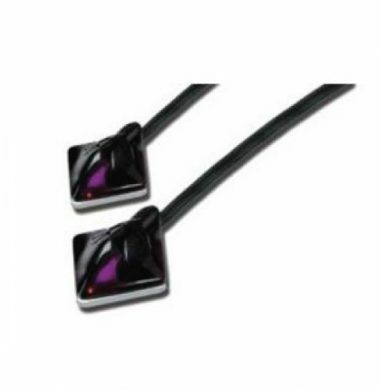 The Xantech IR Blink 286D – twin emitters contain a tiny infrared light emitting diode housed in a miniature, almost black, injection molded plastic shell. These versatile units can be used in a number of innovative ways. 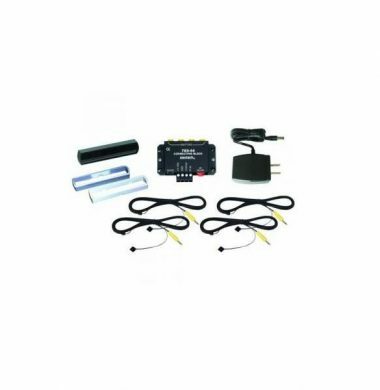 The Xantech EN85K Ensemble is a convertible IR Receiver Kit is the professionals choice for controlling multiple pieces of IR-controlled equipment located in a cupboard. 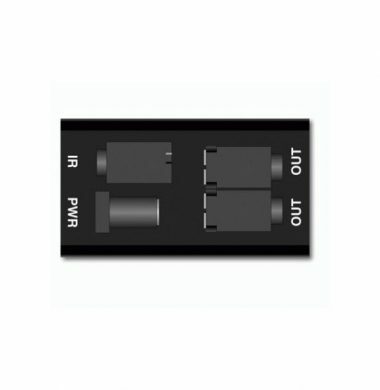 It uses one of the most discreet IR receivers available and features surface mount technology that can be adapted to almost any surface mount, flush mount or shelf mount application. 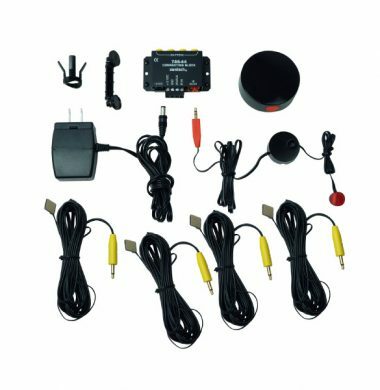 It includes all of the parts necessary for installing a single-room IR Repeater System for controlling a TV, Audio/Video Receiver, Blu-ray player, Cable Box, Satellite Receiver…just about any IR controlled A/V home entertainment device. These IR receivers are designed to mount in single-gang electrical J-boxes. The mounting screws and red lens insert allow the installer to use decora wall plates. 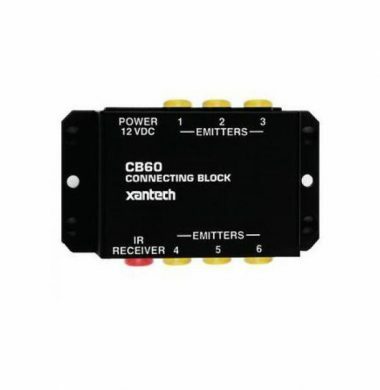 The Xantech CB60 connects six emitter ports and power supply to all Xantech IR Receivers that use a stereo mini plug. 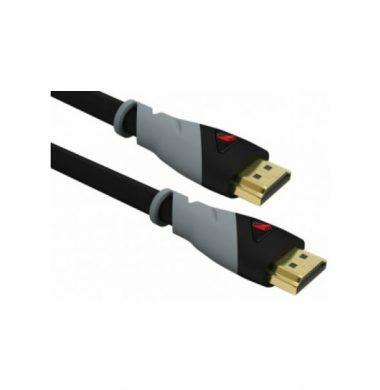 It has 3.5 mm stereo mini jack for quick-connect IR Receivers, and 3.5 mm mono mini emitter ports drive 6 single or 6 dual emitters in parallel. The CB60 requires either the Xantech 781-78 (12V 200mA) or Xantech 782-78 (12V 1000mA) power supply. The Xantech CB20 One Zone Two Source Connecting Block, connects two emitter ports and power supply to Xantech IR Receivers that use a stereo mini plug. this prodict requires the 781ERGPS or 782ERGPS power supply.